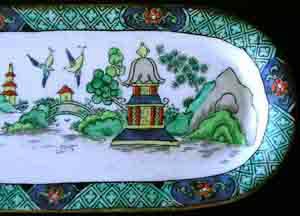 design symbolic of love and the home." 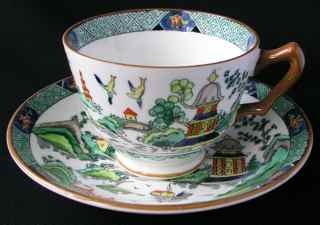 An identical pattern was also produced by the firm of Coalport, the two versions being indistinguishable apart from the backstamp. 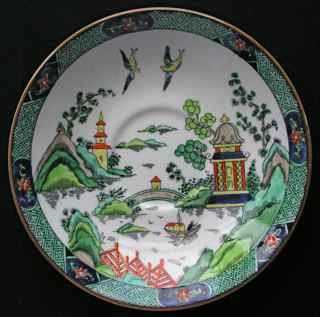 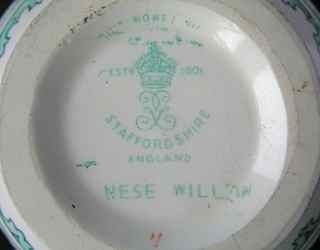 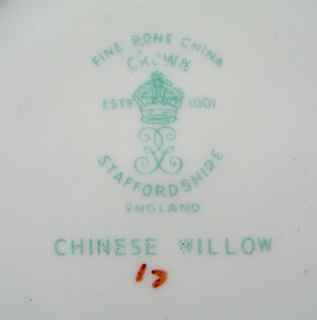 Being bone china, the Chinese Willow items below are translucent (unlike earthenware, which is opaque).